Hi there! 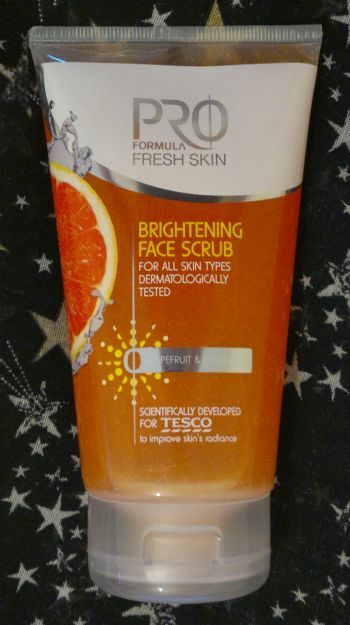 Not too long ago I finished Superdrug’s Naturally Radiant Brightening Micro Polish. And since then I’ve been using this Boots Botanics Radiant Youth Microdermabrasion Polish. This product is meant to be used on a weekly basis. And it promises brighter skin and a smoother and more even complexion. Is it any good? Yes, it is! This product feels grittier and more effective than Superdrug’s micro polish. However, this Boots Botanics Microdermabrasion Polish takes skin brightness to a whole new level! I saw results after a single use of this product. 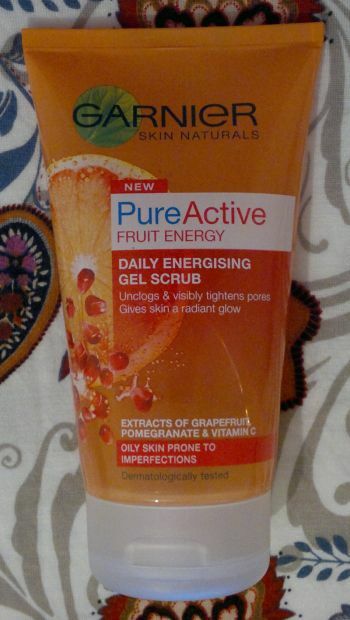 And since then this product has helped me maintain my brighter and more even (!) complexion. 100% awesome! Hi there! Today’s post is about Superdrug’s Clearly Youthful Triple Action Cleanser, Mask & Scrub. Like all the other products in the Clearly Youthful range, this cleanser is aimed at women who want an anti-ageing product that also tackles skin impurites. So how’s the product? It works. It’s really good! Whilst I can’t comment on its anti-ageing benefits, I think this mask/cleanser/scrub makes my skin look and feel clearer. Brilliant! I use this product once a week and I make use of all its benefits. I apply it (thinly!) as a mask, I leave it alone for 10 minutes, then – with a splash of water – I give my face a good scrub. And then I just rinse it off. Done! I think this triple action product is really nice. And it doesn’t contain crushed apricot stones or walnut shell powder. So it’s safe to use it on the face. If your local Superdrug store has any Clearly Youthful products left, you should buy them! 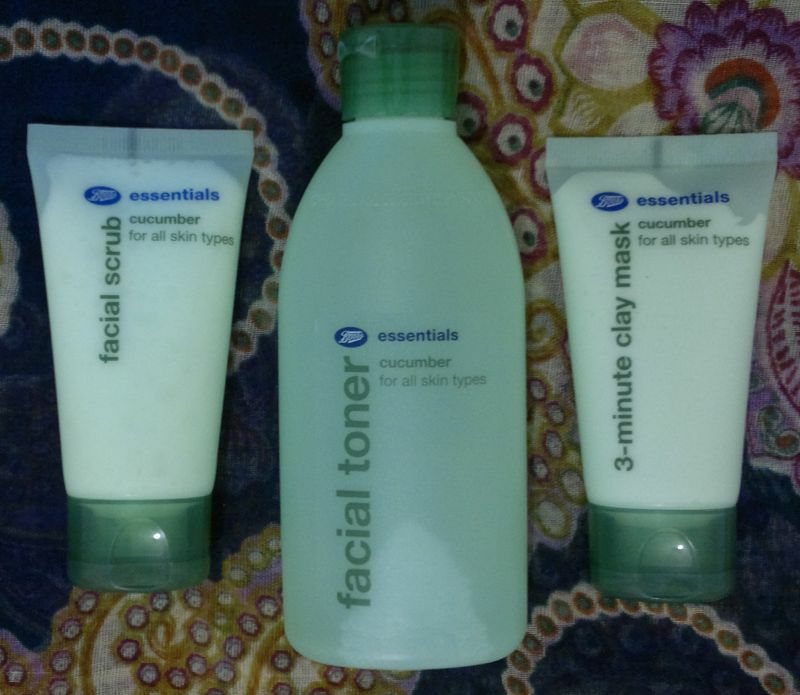 I’d recommend this triple action product, the face mask, the day serum and the night serum. But I wouldn’t bother with the blemish gel, the cream cleanser or the face cream. 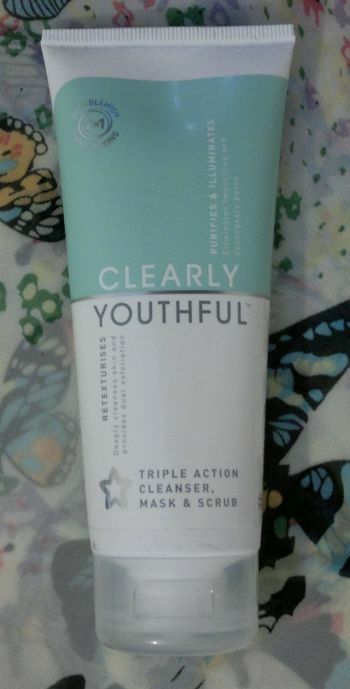 You can check out my reviews of all the Clearly Youthful products here. Anyway, for now I hope the new Clearly Youthful line will be (more or less) the same as the old one. And I hope the new stuff will be launched soon. Fingers crossed! Hi there! Quite some time ago I mentioned that I wouldn’t let scrubs that contain crushed apricot seeds or walnut shells anywhere near my face. But I’m very happy to use face scrubs without abrasive ingredients, like Garnier’s Skin Naturals Fresh Radiance Boosting Scrub. This paraben-free scrub is aimed at people with sensitive, dull and tired skin. And it promises to purify and revitalise skin. I will continue to use this scrub for sure. I will use it on a weekly basis. And I would definitely recommend this scrub, especially if you want to say goodbye to abrasive scrubs, or if you have dry or sensitive skin. 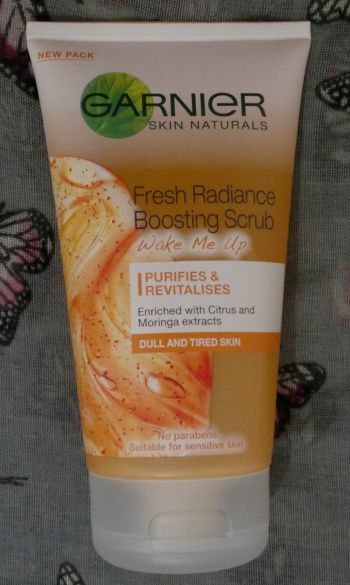 Garnier Skin Naturals Fresh Radiance Boosting Scrub is available as 150ml for £3.99. I bought mine on a save 1/3 deal.